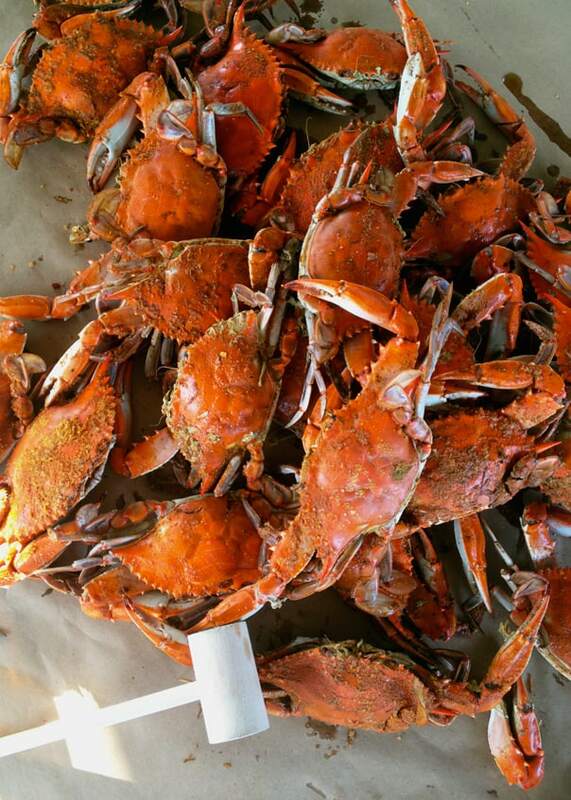 Today’s Outer Banks travel guide comes from Chrissie Nelson of Off the Eaten Path! My family has been going to the Outer Banks for 27 years to soak up the sun and the salty breeze. We go every summer, and sometimes sprinkle in a fall, winter or spring trip here and there. We always stay in Duck, N.C. which is a quaint little town (it went from tiny village to big booming town in 2002) in the northern Outer Banks. We’ve been evacuated for hurricanes, become expert boogie boarders, studied for the bar exam (well that was just me, but the bar exam was not going to get in the way of our annual beach trip), and we’ve played more holes of mini golf and eaten more blue crabs than I can count. Spanning almost the entire coast of North Carolina, the 200-mile string of narrow barrier islands are more than just vacation rentals, expansive beachfront and Atlantic Ocean views. 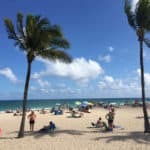 (Trust me, the beaches and ocean views are definitely worth the visit.) The Outer Banks (also known as the OBX) are home to Cape Hatteras National Seashore, wild horses, a multitude of aquatic plant and animal life, The Roanoke Colony (also known as The Lost Colony, one of America’s first settlements and most intriguing, unsolved mysteries), aviation (the Wright Brothers took the first flight in Kill Devil Hills on December 17, 1903), and pirates, including Blackbeard (Ocracoke Inlet was the famed pirate’s favorite anchorage). I’m so excited that we’re beach-bound this week; the Outer Banks is one of my favorite places to visit and I’m looking forward to sharing our favorite spots with you! Don’t you already feel the sand between your toes and smell the salt air? Click below for Chrissie’s stunning Outer Banks travel guide! 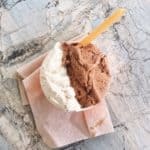 Boasting three small tables, a few benches, and a never-ending line in the summer, a visit to Sunset Ice Cream, a locally owned ice cream and coffee shop is a summer must. Waiting in line brings back memories of family beach vacations with our cousins. (Our parents would just shut us up with the sticky, sweet ice cream that often melted down my hands and stained my T-shirts). 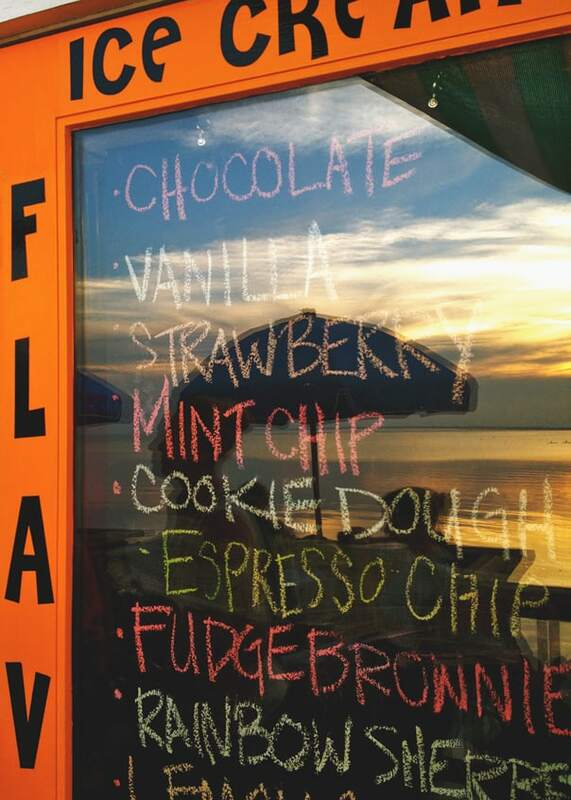 Our family makes sure to stop at least once (usually several times) for a scoop or a milkshake and to catch the sunset. Every time we come to the beach, fresh seafood is on the menu. Dinner at Awful Arthur’s Oyster Bar is a family tradition that spans over a decade; it goes back to when my parents asked a local 15 or so years ago for a good, low key place to grab some seafood for dinner and he directed them to Awful Arthur’s. The wait in the summer can get long, but head to the oceanview lounge for a cocktail and some fresh oysters with tabasco and horseradish. Duck Deli is a Duck institution. 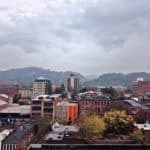 They offer a variety sandwiches and deli staples, as well as excellent eastern North Carolina, vinegar-based barbecue. It’s a tiny place that gets overrun with tourists at lunch and dinner time, so the best time to go is mid-afternoon after a long morning on the beach. Ocean Boulevard Bistro and Martini Bar has brought fine dining to the beach — it’s our new favorite spot for a glass of pinot and a delicious meal! Ocean Boulevard serves up regional food (fresh caught fish and locally grown produce) with a global flair. Their menu changes seasonally depending on what’s local and available. They also have an extensive wine list, tasty (and strong) martinis and live music on the patio in the summer. Rundown Cafe is a family friendly, casual joint in Kitty Hawk with an eclectic menu inspired by travels to the Caribbean and Pacific Rim. A traditional Jamaican soup of fish, coconut milk, onions, tomatoes and yams gave Rundown its name 20 years ago and is still featured first on the menu. 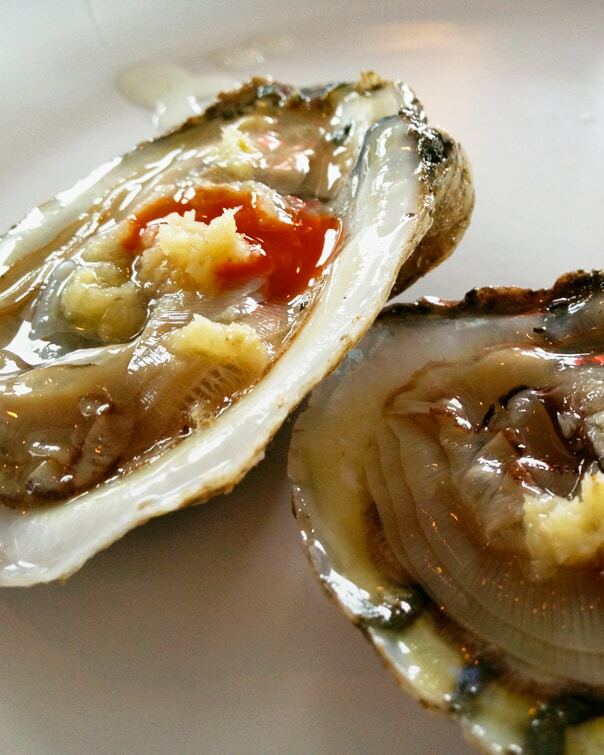 Sneak out of the sun and sidle up to Coastal Provisions’ bar for a cold beer and some fresh oysters. They have knowledgeable bartenders, rotating local drafts, and offer flights if you can’t pick just one. Go all out with an order of fish tacos (the sesame tuna tacos are one point) and then grab some necessities (crab cakes, fresh seafood, clam chowder, a six-pack and a bottle of wine) for a feast later at home. 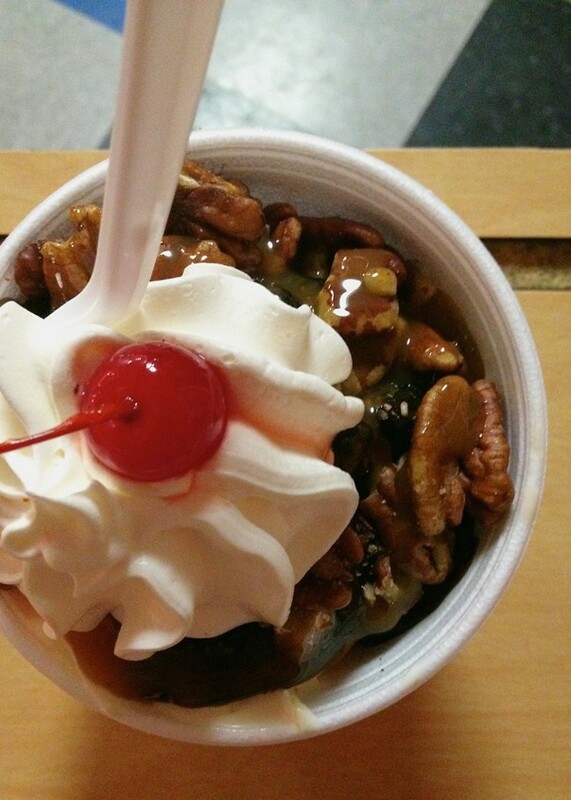 Don’t let the line deter you; the folks at Uncle Eddy’s Frozen Custard get through it quick and the authentic frozen custard is worth the wait. Take the time to check our their impressive shell collection and shell art, and decide if you’re going to get a cone, a Hurricane Eddy or a sundae. Grab a cup of coffee and a breakfast treat and it enjoy it on Orange Blossom Bakery and Cafe’s front porch (maybe Bandit the kitten will stop by and say hi). They’re famous for their Apple Uglies (a creative creation made with leftover donut dough and apples and deep fried like a fritter), and for a good reason (calories don’t count on vacation!!). If you’re not in the mood for a sweet treat, they have excellent bagel sandwiches. The Dancing Turtle Coffee Shop is perched at the very end of Hatteras Island, right across the ferry to Ocracoke. Get up early and wake up with a cup of the Coconut Crunch coffee (it’s their best seller and the hint of coconut is incredible) and then head straight for the beach for some sipping and strolling. My boyfriend, AJ, is a bit of a fish taco connoisseur and has deemed Top Dog Cafe’s fish tacos the best on the Outer Banks. Besides great fish tacos, I love their casual atmosphere, whimsical decor and screened porch. Tortugas Lie is a local’s hangout in Nags Head with Caribbean inspired beach fare and ice cold margaritas (made with fresh squeezed orange juice). Go for the fish tacos and Hatteras style chowder (clear broth style clam chowder), stay for the people watching and friendly conversation. If you’re coming to the Outer Banks from the North, you’ll probably be hungry at some point on your drive, so make sure you stop in at Currituck BBQ on the side of Highway 158 in Coinjock, NC. They serve up one of the best pulled pork sandwiches I’ve ever eaten, and have plenty of sauces for sale for you to take home with you! 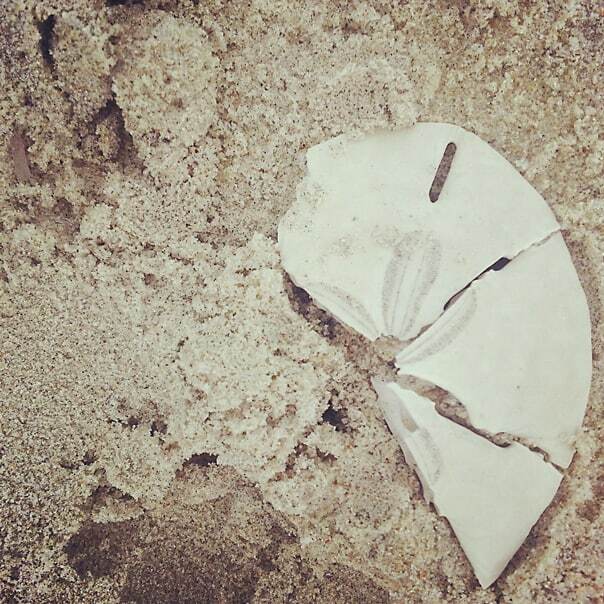 Sand dollar shelling in Hatteras, N.C. Put on your suit and your sunnies, grab a towel, chair, boogie board and good book and hit the beach. The Outer Banks is known for it’s beautiful beaches; which are dotted with beach umbrellas in the summer. Spend the day in the sun, take a dip in the ocean, and comb the beach for seashells and other treasures. If you’re looking for something less crowded, head to Cape Hatteras National Seashore, where rolling dunes and sea oats separate the coastal highway from the expansive Atlantic. 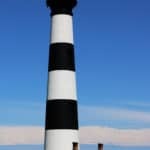 Enjoy the view from the top at one of the Outer Banks five lighthouses. These beacons guided mariners and travelers for centuries, and now many are open for climbing (and even those that aren’t are interesting to visit to see their beauty and learn their history). The Atlantic Ocean is the best kind of playground. 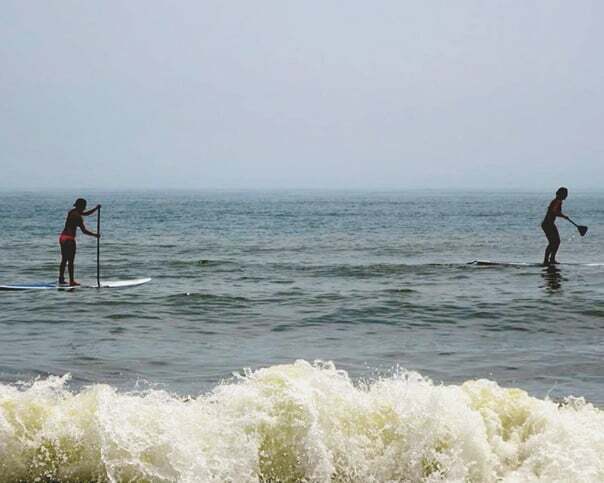 Rent a stand up paddle board and surf the waves; boogie board your way to the beach; let the wind fill your sails on a kiteboard; or paddle into the surf in an ocean kayak. If you prefer calmer waters, check out the water sports soundside–parasail high in the clouds; pick up the pace with a jet ski, or go on a kayak eco tour. The Outer Banks offers tons of outfitters and rentals for all of your watersports needs; check out Ocean Atlantic Rentals and Kitty Hawk Kites. Cast a line from the shore, try your luck off a pier (check out Avalon Pier, Jennette’s Pier or Rodanthe Pier) or book a deep sea fishing adventure to get the day’s freshest catch. Make sure you have a license; short term coastal fishing licenses start at 10 dollars. The a peek of the wild horses is a treat of any Outer Banks visit. The wild mustangs origins date back nearly 500 years, making them the earliest settlers of the Outer Banks. 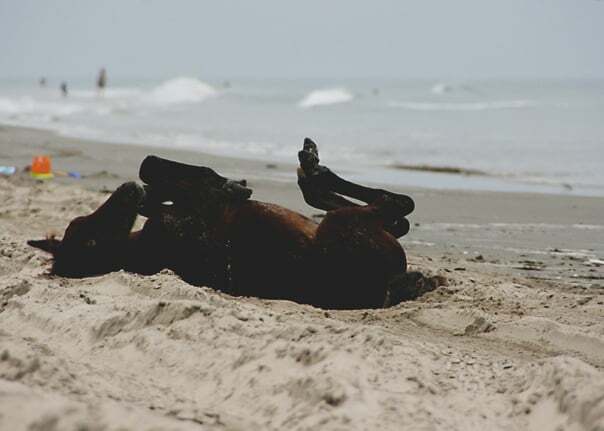 The horses travel in small herds and can be seen in the Corolla and Carova area in the Northern Outer Banks. Spotting the horses usually requires driving on the beach, so 4 wheel drive is definitely recommended. Take your shot and plan your own adventure, or book through an experienced guide (my aunt and sister recommend Corolla Jeep Adventures). A round of mini golf is perfect for children (or bringing out your inner child). Work on your par with the dinosaurs at Jurassic Putt or go on an adventure searching for gold and diamonds at Lost Treasure Mini Golf. 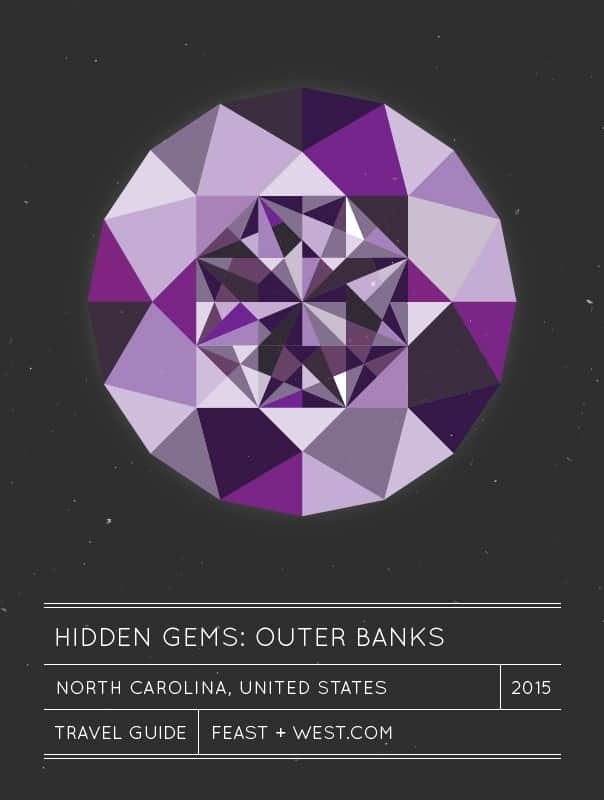 Visit the largest natural sand dune system in the Eastern United States. There are a multitude of activities to enjoy at Jockey’s Ridge including hiking, sandboarding, and hang gliding. Pro tip: avoid Jockey’s Ridge in the middle of a summer day; hot sand and no shade is not a pleasing combination. Stand in the place where the Wright Brothers’ first took flight in 1903. Visit the birthplace of aviation in Kill Devil Hills and stop by the Wright Brothers’ National Memorial to learn about Orville and Wilbur’s life, gliding experiments and dreams of flying. Soak up some history and drama along with your rays at a performance of The Lost Colony. This annual summer spectacular showcases the dramatic and mysterious story of the Roanoke Colony, one of the earliest settlements in the United States. With the thrashing Atlantic in your backyard, there’s no way you can go a week without the basics. Dockside ‘n Duck has all of your fresh seafood needs to cook up at home–steamed shrimp (in Old Bay, of course! ), fresh mussels, oysters, clams, lobsters, and all the fresh fish you can dream of. We always make it a point to stop here at least once (but usually three or four times) during our vacation. Pick up a latte and a beach book at Duck’s Cottage Coffee and Bookshop. Duck’s Cottage has the perfect cozy coffee shop feel and a beach book to satisfy any mood. If you’re not sure what you want to read, spend some time perusing their shelves and be on the look out for little signs pointing out bestsellers and staff recommendations. If you forgot a beach necessity at home, or want to grab some inexpensive souvenirs for friends and family, stop by Wings for your cheap beach essentials. There are tons of stores spanning the Outer Banks from Corolla to Hatteras filled to the brim with everything you need for the beach: towels, swimsuits, sunglasses, sundresses, flip flops, beach chairs, boogie boards, and much more. They also have everything you need to bring home from the beach: OBX t-shirts, mugs, picture frames, key chains, stickers and salt water taffy. Satisfy all of your beverage and t-shirt souvenir needs without having to leave your car. Brew Thru is a drive-through convenience store; pull in and pick your poison from the floor to ceiling coolers on either side of your car. Don’t leave without a Brew Thru t-shirt; they’ve been coming out with a new design annually since 1977. Stroll the Duck boardwalk along the shores of the Currituck Sound from the Town Hall to the Waterfront Shops. Peek into stores selling everything from jewelry and dresses to clothing and wine, and grab a meal at or ice cream cone at the end of your shopping adventure. Everything is “fun, sassy and chic” at the Foxy Flamingo, a contemporary women’s boutique in Nags Head. A trip to the Foxy Flamingo is a must if you’re looking for some new fun, unique pieces to add to your wardrobe. Spend an afternoon out of the sun and wander the boardwalks under the oaks at Scarborough Faire in Duck. Browse the specialty shops, art galleries, eateries and boutiques for your beach treasure. If you’re looking for a fishing adventure turn to the experts at Bob’s Bait and Tackle. The guys at Bob’s are super friendly and knowledgeable about the area’s fishing and sell an assortment of rods, reels and tackle (they have some rods for rent too). If you’re a first timer, they’re happy share their fishing intel and walk you through exactly what you need. They also book charter boats for deep sea fishing trips. 2 hours: North or South Outer Banks — Explore the islands and drive to the other end of the Outer Banks. 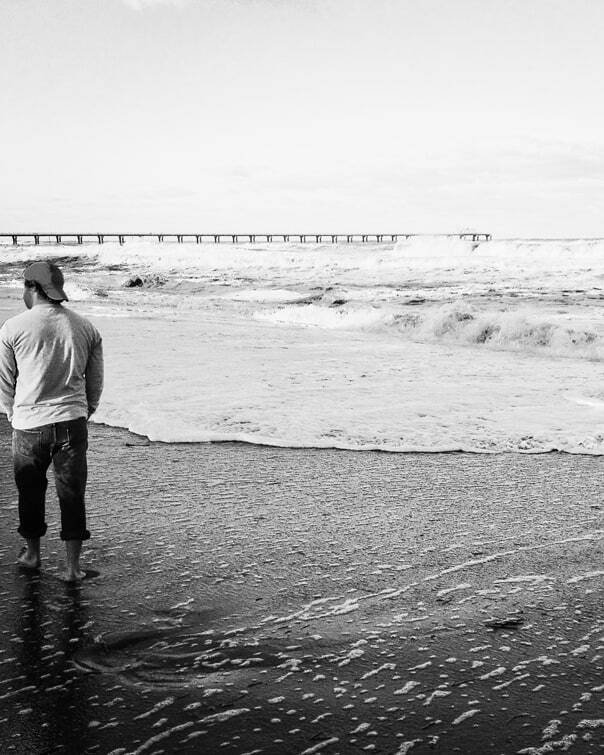 If you’re visiting, the Outer Banks is your destination, so take some time to explore. If you’re staying North in Corolla or Duck, drive South to Cape Hatteras National Seashore and the Cape Hatteras Lighthouse, if you’re staying in the South, drive North to see the Currituck Lighthouse and catch a glimpse of the wild horses (2 hours is the drive time from Corolla, N.C. in the North to Hatteras, N.C. in the South). 40 minutes: Okracoke Island — Take a ferry from Hatteras to Ocracoke Island. A 40 minute ferry ride will transport you from Hatteras Village to Ocracoke Island. Enjoy the drive through Ocracoke’s unspoiled national seashore and then take some time to explore Ocracoke Village, a small settlement with a few restaurants and bars. Make a stop at the Ocracoke Lighthouse, the oldest operating lighthouse in North Carolina. Chrissie loves red wine, road trips, brunch, the beach, Mexican food, yoga, reality TV, cooking, local breweries and the Green Bay Packers. She currently lives in Charlotte, N.C. with her four cats (yes, four!) and boyfriend, where she works as a public defender. 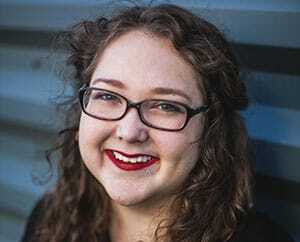 You can follow her foodventures and read her restaurant reviews and other musings on her blog, Off the Eaten Path.